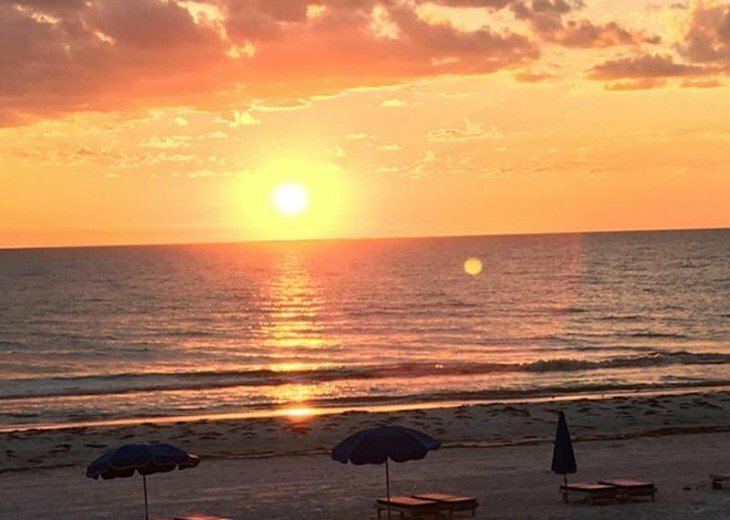 Heavenly beach days, spectacular sunsets and romantic nights await you. 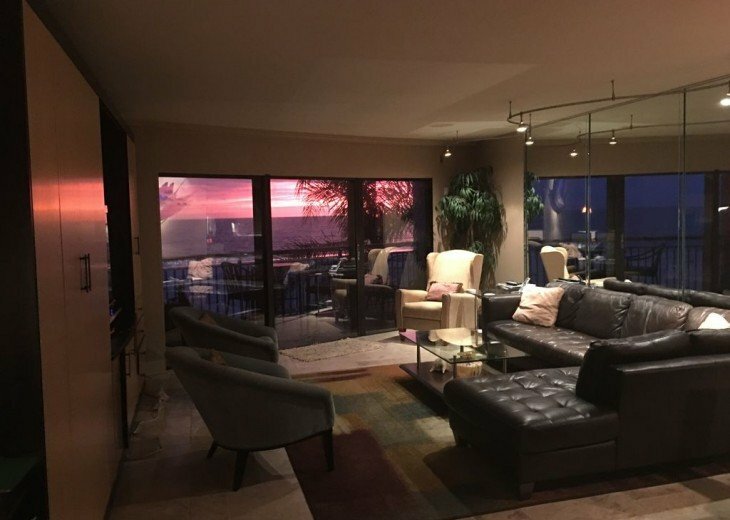 As you enter the condo, the sand, surf and sky are visible and beckon you forward toward the wall of glass doors. 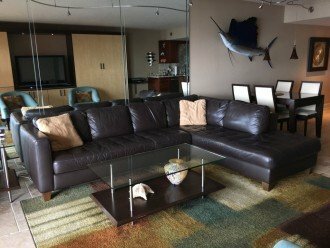 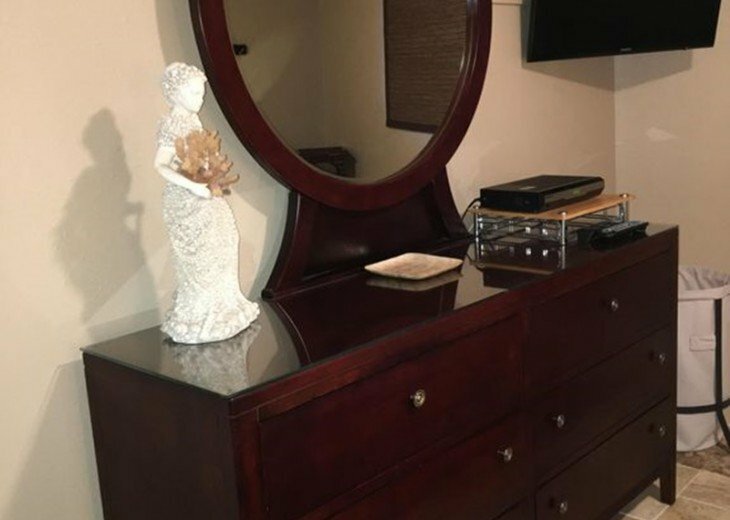 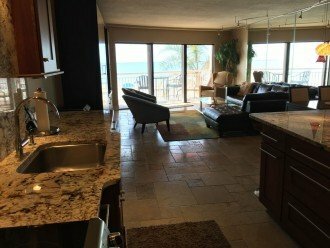 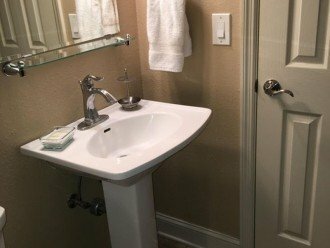 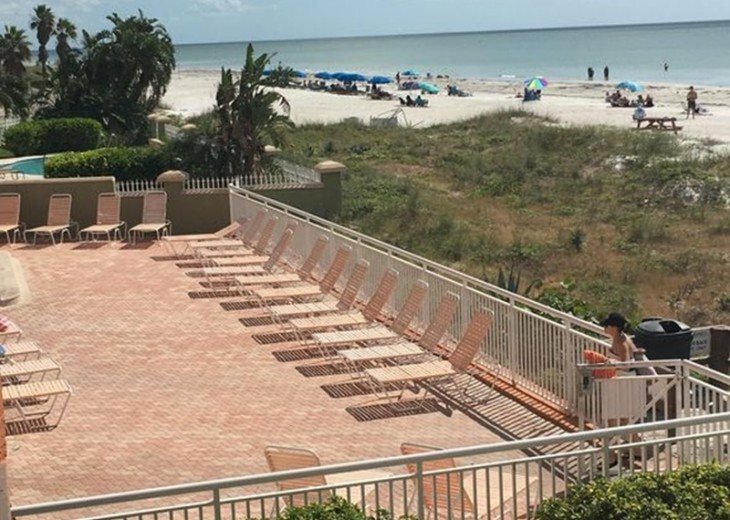 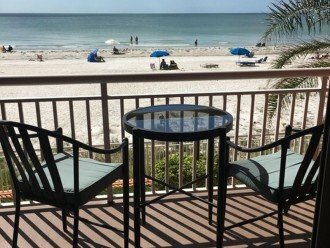 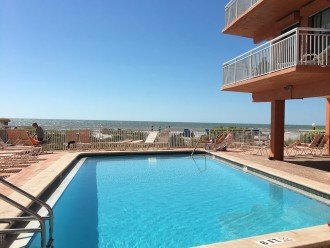 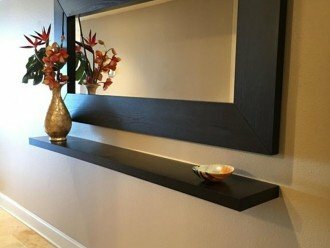 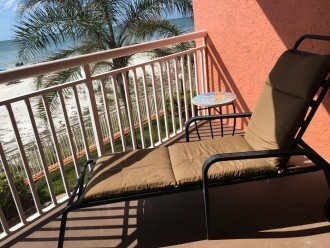 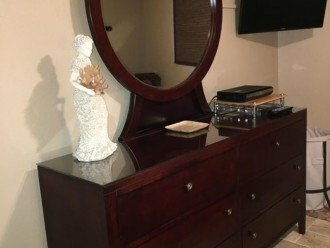 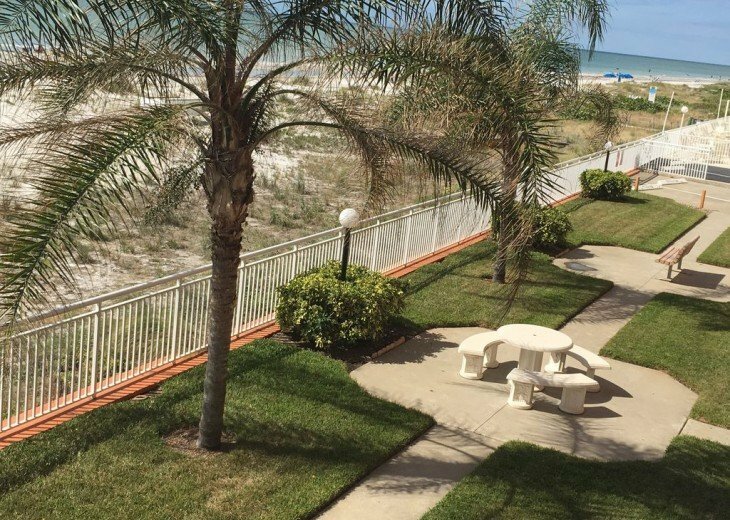 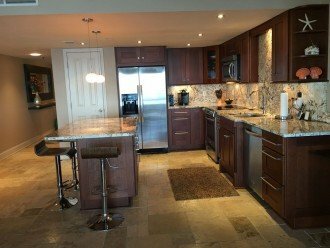 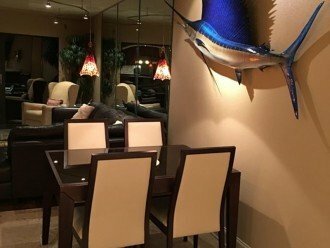 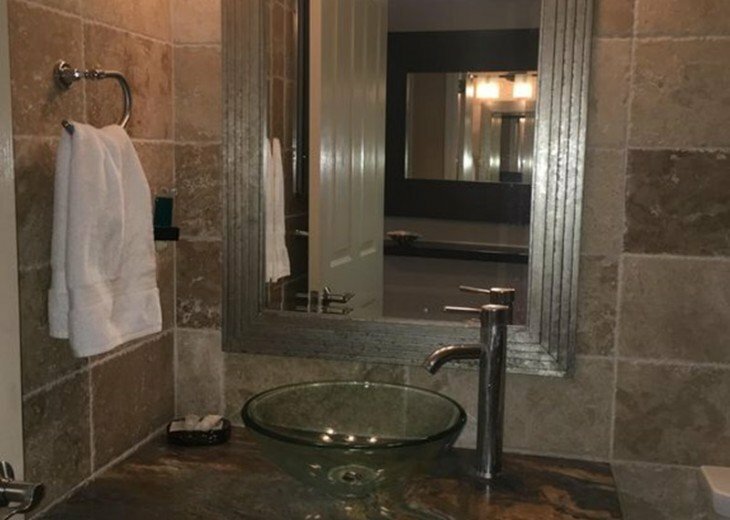 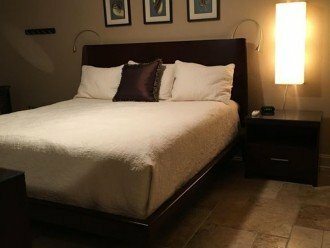 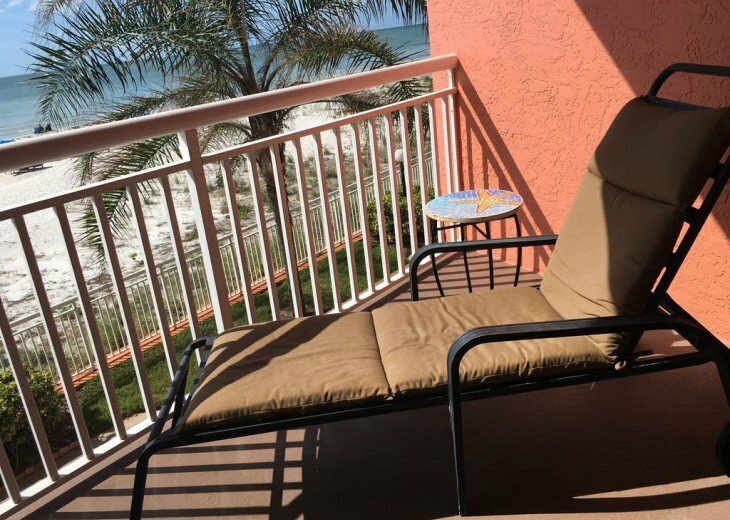 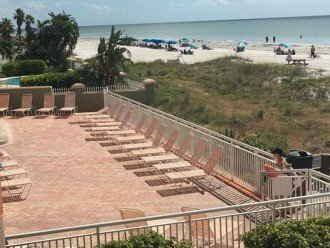 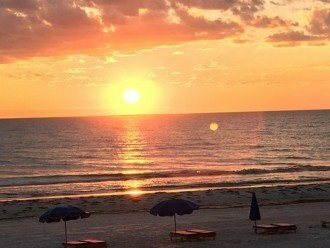 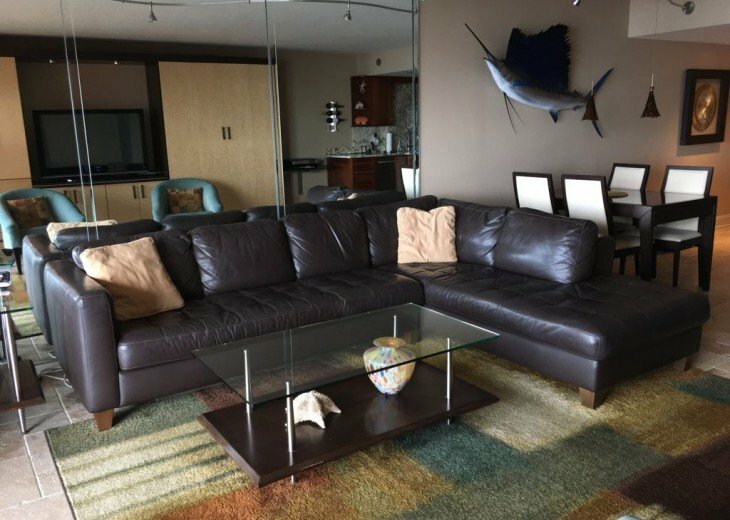 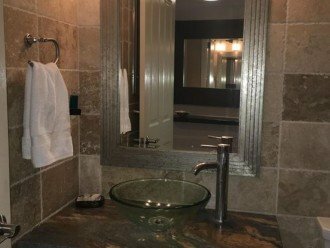 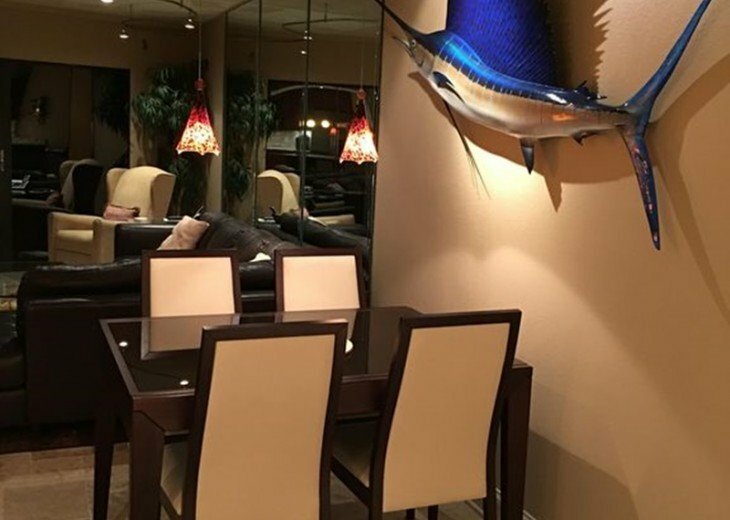 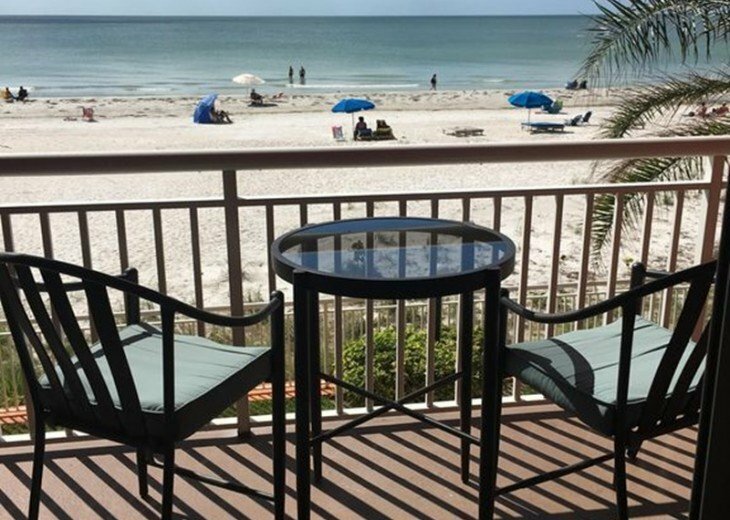 You can enjoy the gorgeous beach view from inside the condo or outside on the 17 foot wide balcony overlooking the sandy shores of the Gulf of Mexico. 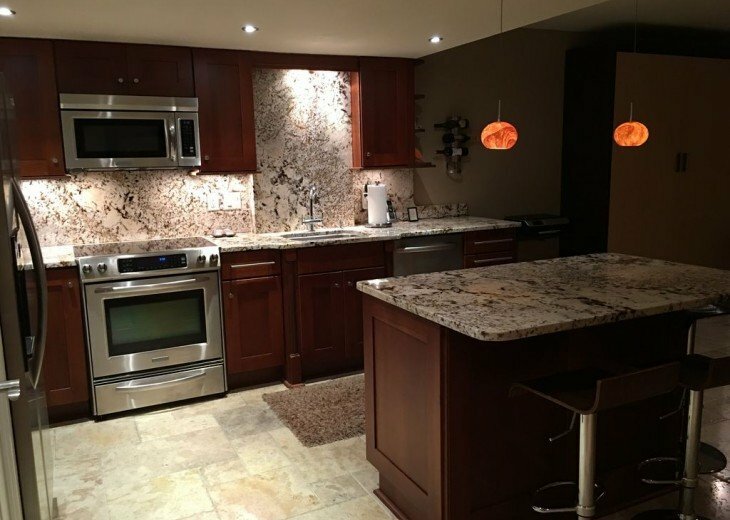 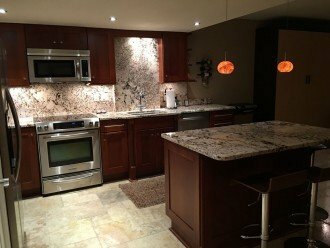 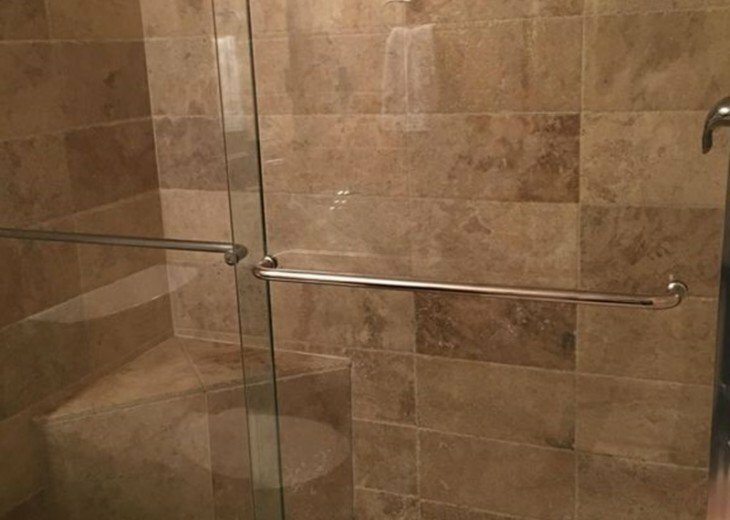 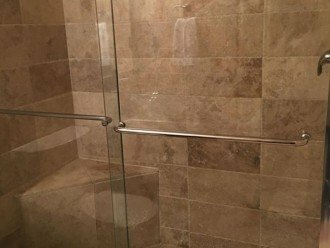 The condo has beautiful Travertine stone flooring throughout. 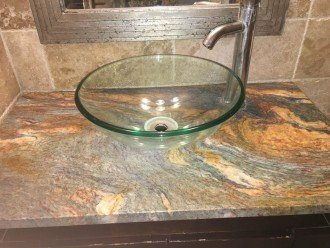 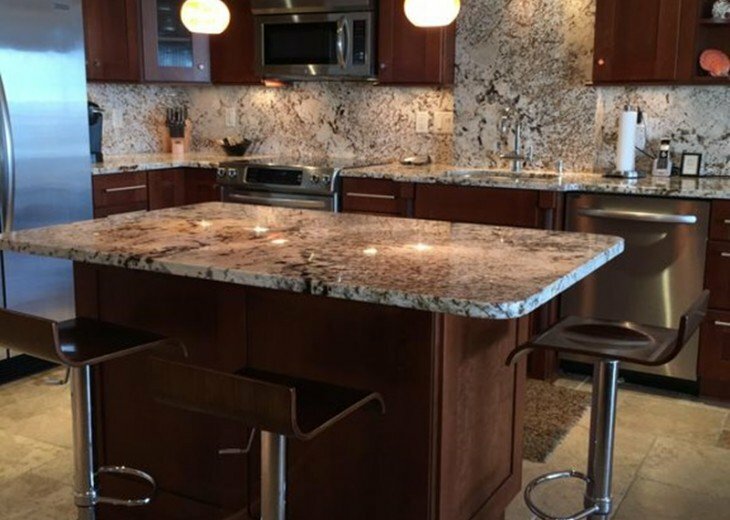 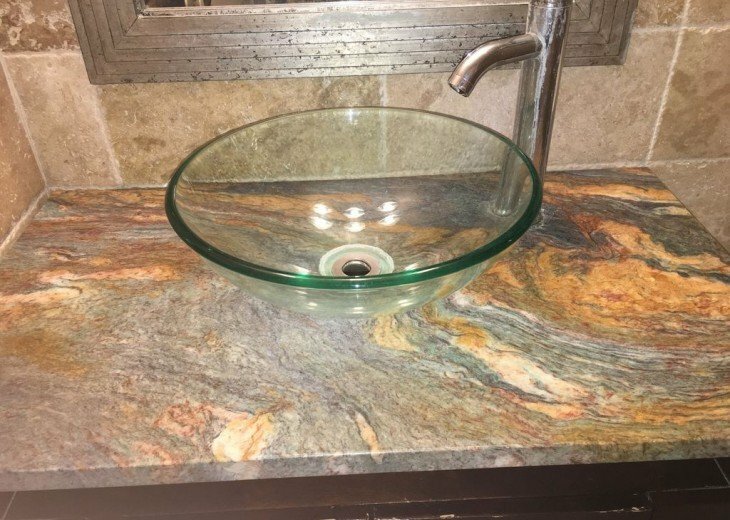 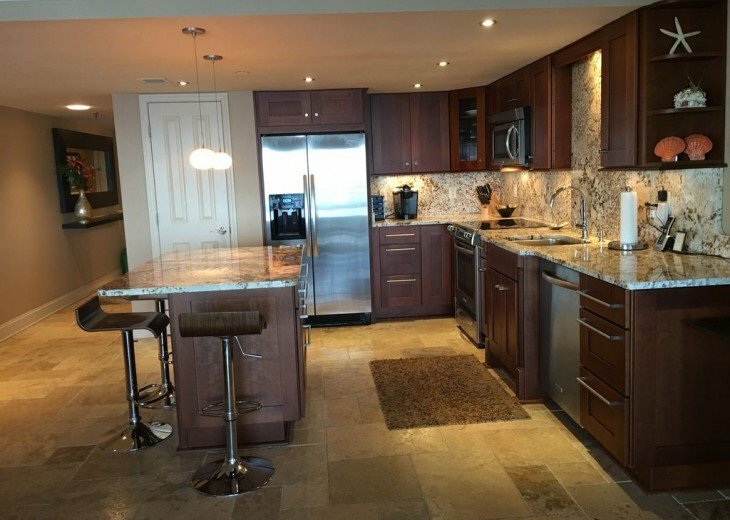 The kitchen and bath feature solid wood cabinetry and exotic granite counter tops. 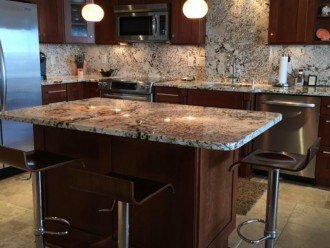 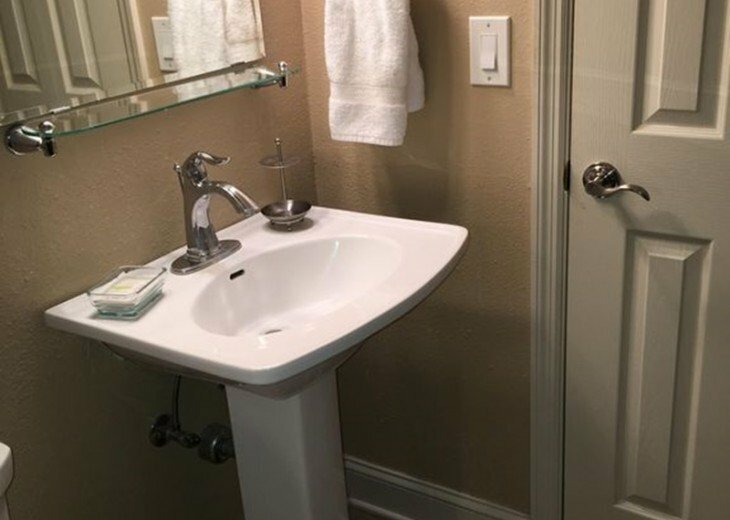 You'll also enjoy all new top-of-the-line stainless steel appliances. 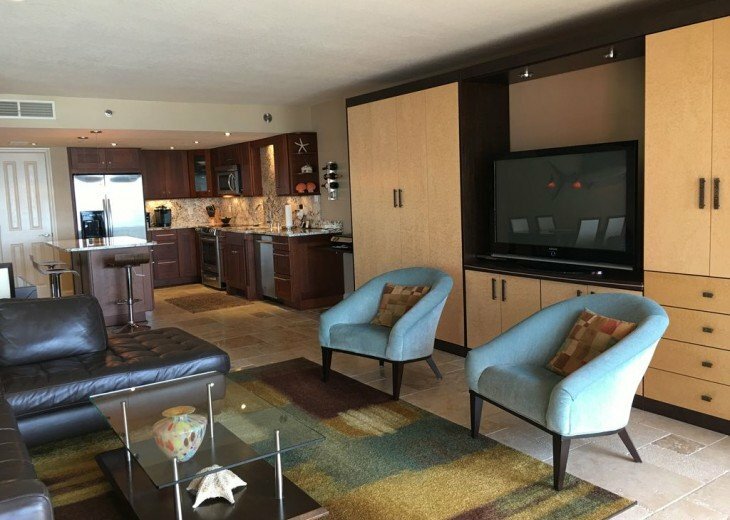 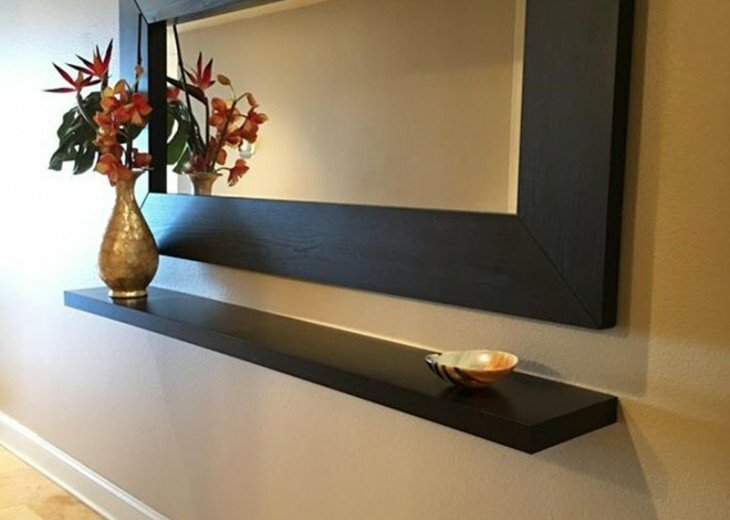 The expansive living room boasts new comfortable contemporary furniture where you can lounge while watching the new 52 inch plasma television.The half bath off the bedroom offers additional convenience and privacy. 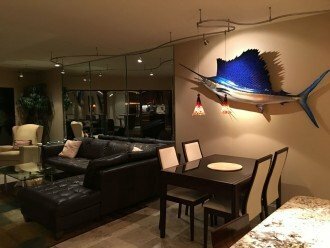 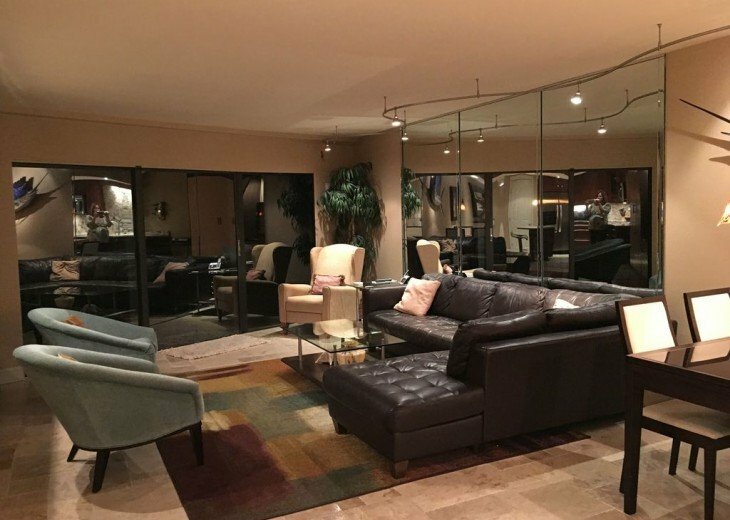 You'll love the glass art lighting throughout the condo. From bright to low light, you set the mood.